I love your fabrics on that piece. 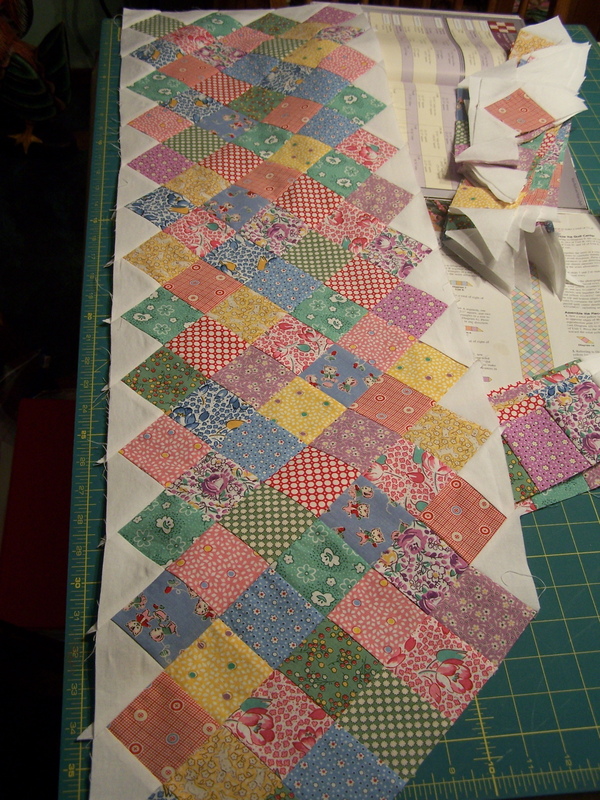 Makes me want to get my huge 30’s fabrics UFO out and get after it, it is lacking only a little bit of border work. Thanks for commenting on my blog too. that is going to be so sweet! I really love the 30’s fabrics in this quilt. I have always wanted to make a Boston Commons quilt. So sweet!! Aren’t 30’s fabrics so happy??? I have a word for you on wordless Wednesday! Awesome!!! And NASCAR starts in three days!!! You’re about the only blog friend I know that is excited about that. Very pretty Randi. It is coming together nicely. Great looking quilt…I’ve made a couple of these and they are so nice looking…….and alot of space to put awesome quilting. I look forward to seeing it completed. I love it Randi! I wish I could pop home at lunch and sew for awhile. 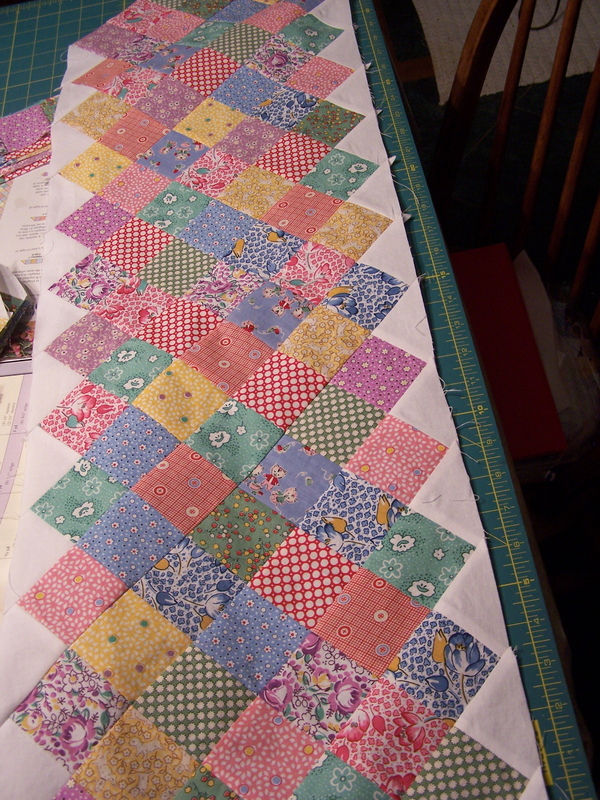 That sure is a lot of piecing and it’s going to be very worthwhile – a great quilt in the making! Ooooh I love the 30’s prints! 🙂 That is going to be a beauty! Must go back to see how you are doing this……you should do a tutorial…it is looking very tempting to try.